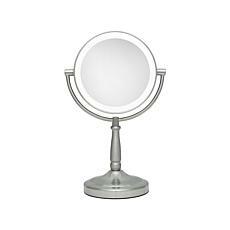 Applying cosmetics is a tricky business. 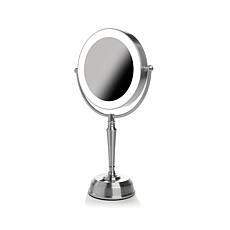 Without the skills of a professional makeup artist at our disposal, most of us need every advantage we can get. 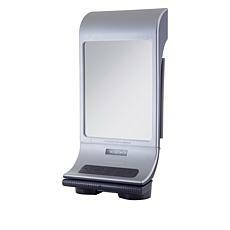 You can get that edge with a lighted makeup mirror from HSN. 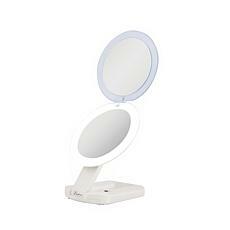 Our lighted makeup mirrors illuminate your face so you can more clearly see how and where you're applying makeup. 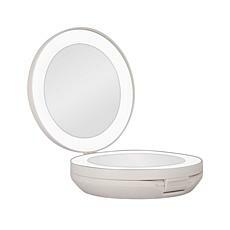 With a lighted makeup mirror, you'll see what areas need more coverage and where you should go a little lighter. 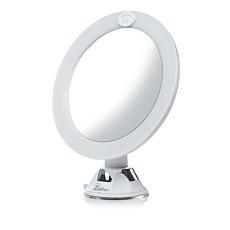 A lighted makeup mirror also helps you choose the right colors for your complexion, without the guesswork. 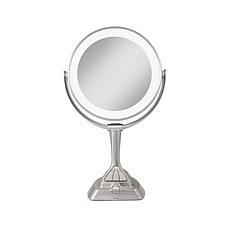 We have a wide range of lighted makeup mirrors for any household. Most lighted makeup mirrors are designed to sit on your bedroom dresser, bathroom sink, or anywhere you typically apply your makeup. 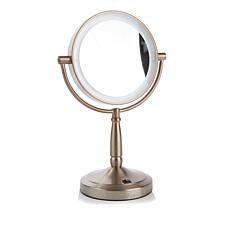 Some lighted makeup mirrors can be permanently wall-mounted, while other styles have suction cups for semi-permanent placement. 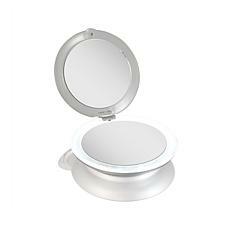 Our portable lighted makeup mirrors are ideal for travel. 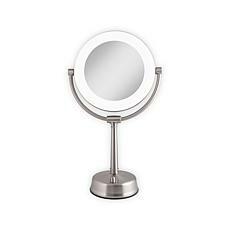 Most of our lighted makeup mirrors use LED lights. 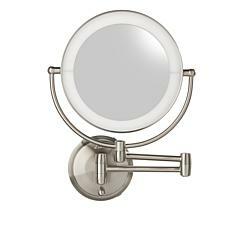 These lights are energy efficient, but that's not their only advantage. 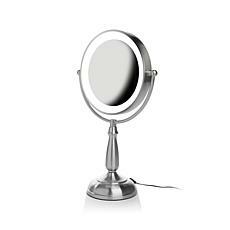 The white light they cast is also the closest thing to natural daylight, so they'll help you achieve the best look when you step out into the world. 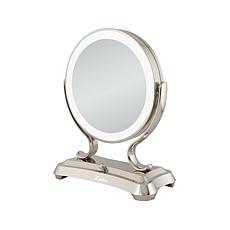 Elevate your cosmetics game with our lighted makeup mirrors.